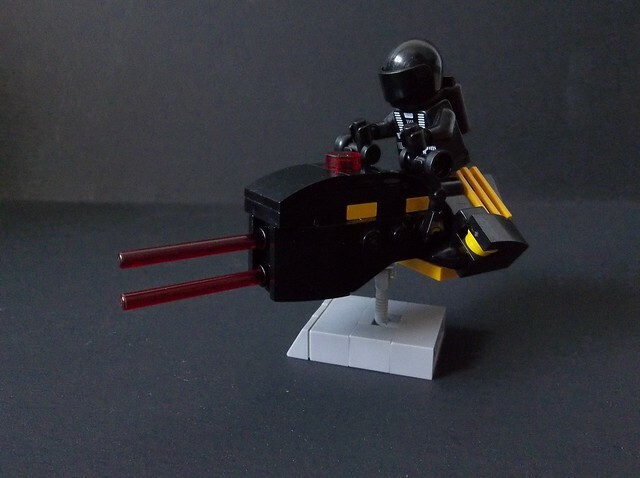 The BT322 Wraithgnat is a compact bike-style antigrav skimmer used by the Blacktron military as a scout vehicle. 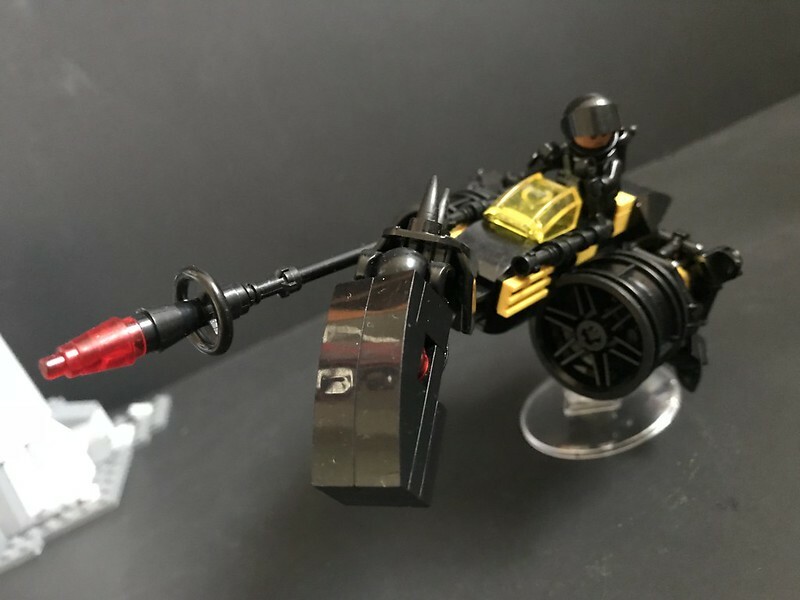 Named after a near-invisible biting insect analogue from the Blacktron capital world, the Wraithgnat’s small size means a harder target to hit, but less room for power plant and weapons systems and the like than larger Blacktron speeder bikes. 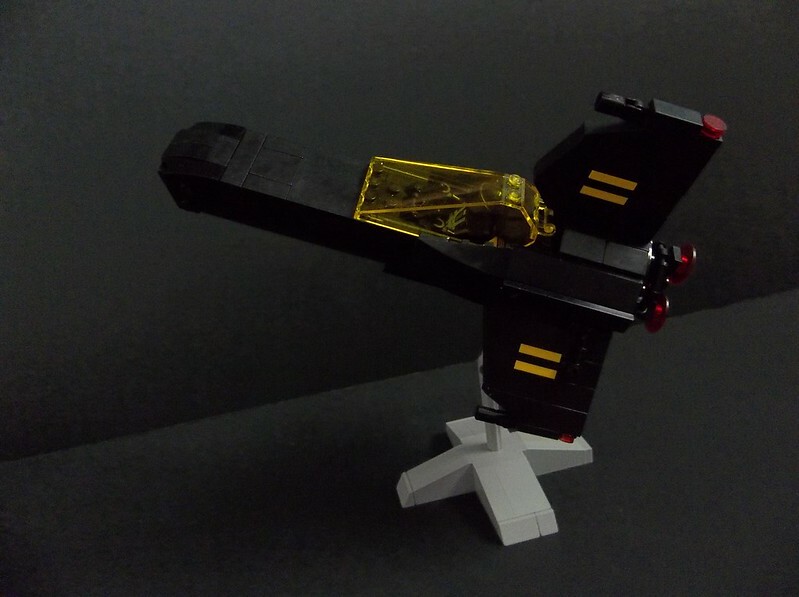 The result is a small antigrav power plant designed more for forward speed than gravitic repulsion, and the Wraithgnat’s flight is incredibly ground-hugging compared to something like the Shadow-Wasp. 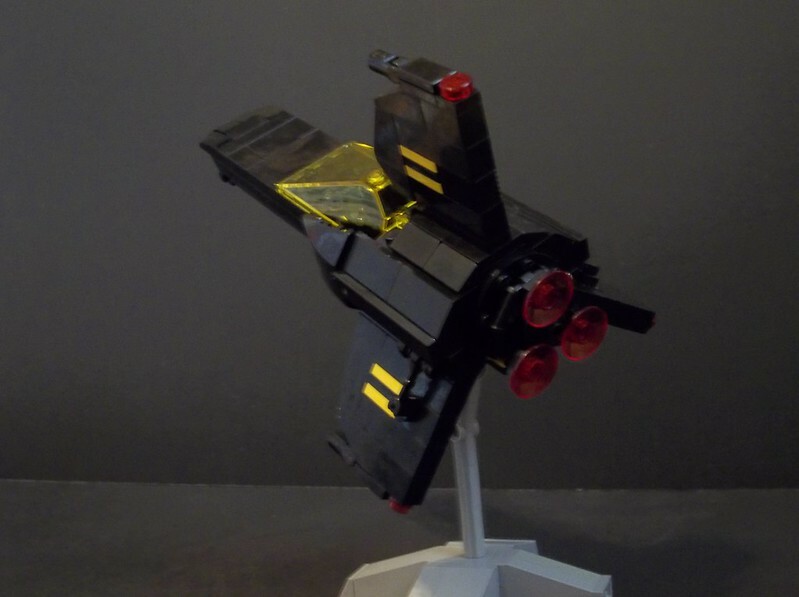 In terms of weaponry the Blacktron High Command were less skimping, and the Wraithgnat carries a pair of powerful plasma lances mounted spinally. 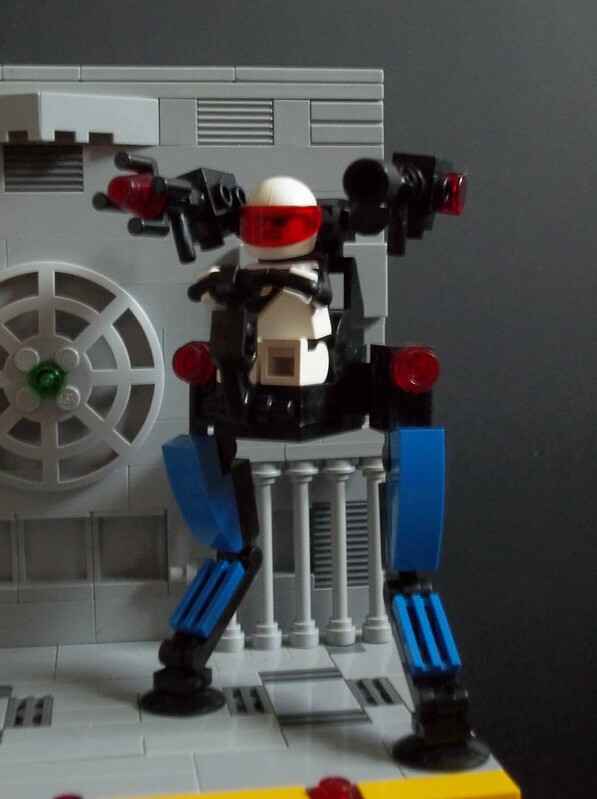 Shorter-ranged than lasers, they are considerably more powerful, especially in their area effect. 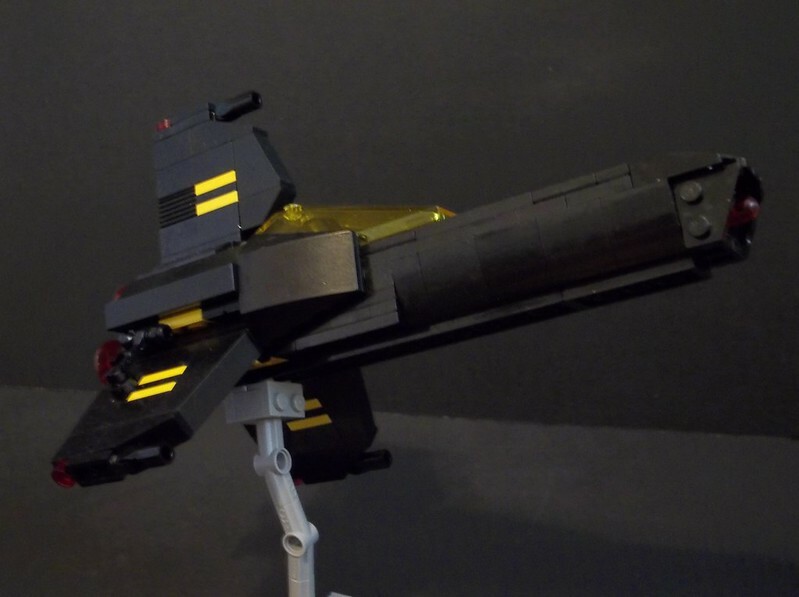 Even a near miss from a plasma lance can often knock a small skimmer out of the sky. 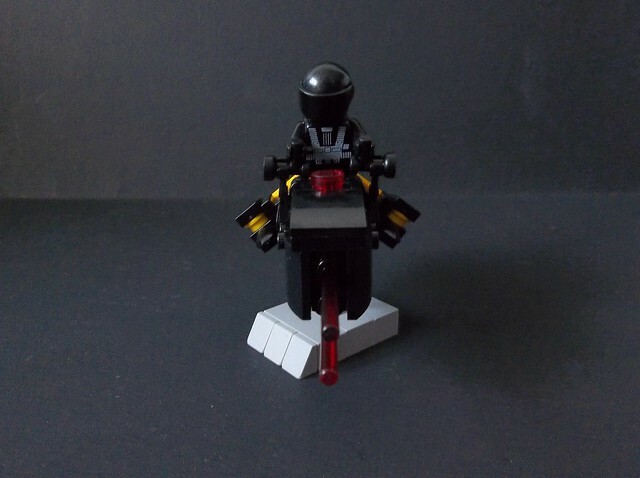 I’ve finally used the technique I came up with to make it look like the rider is straddling the speeder bike, and because it’s Blacktron I, therefore black minifigure against black vehicle, it’s difficult to see and almost looks like the rider has no legs. 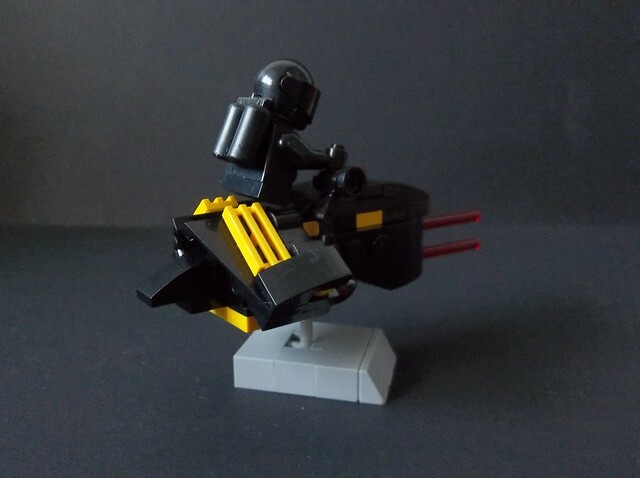 It’s probably not an original technique; I’ve seen other models with a straddling-figure effect and this was my best guess at how it was achieved. 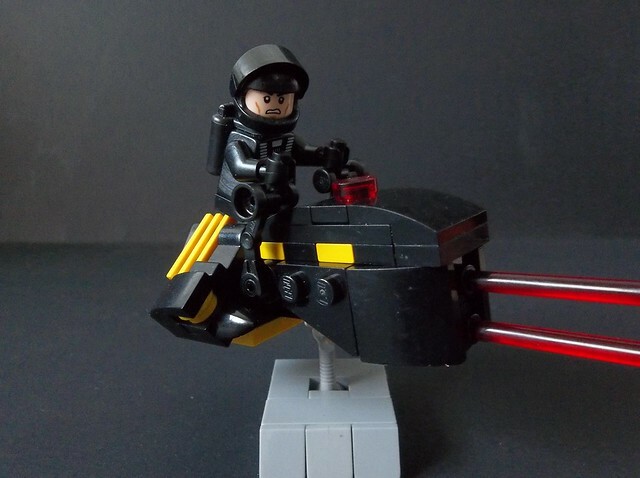 I rather like the compact look of this speeder bike, and its distant family resemblance to the Shadow-Wasp. 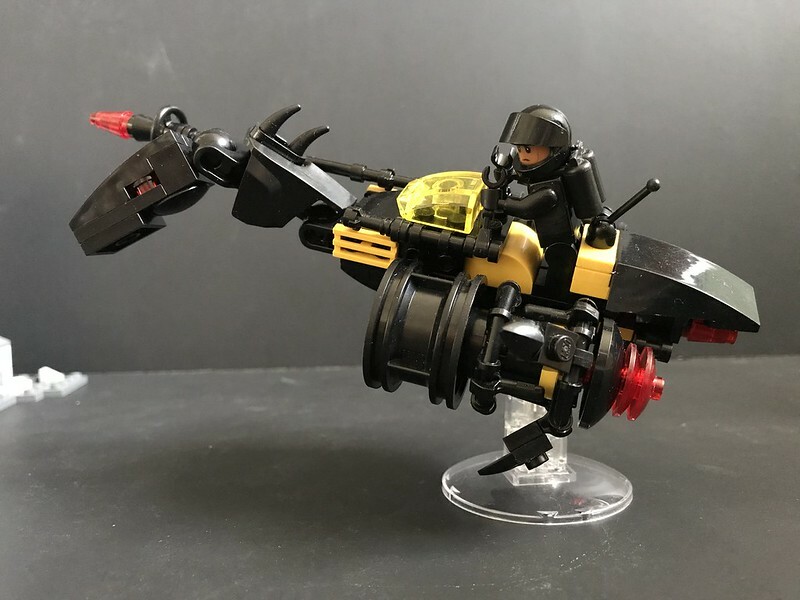 That family-cousin resemblance was how it got its name: Shadow -> Wraith, Wasp -> Gnat. 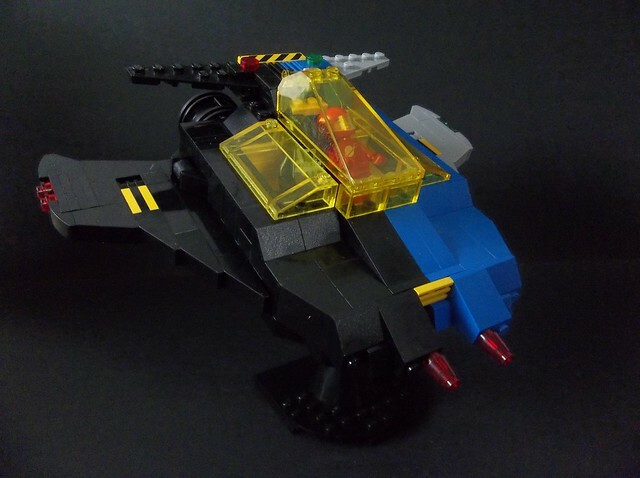 The wraithgnat being a creature from the Blacktron homeworld came later. 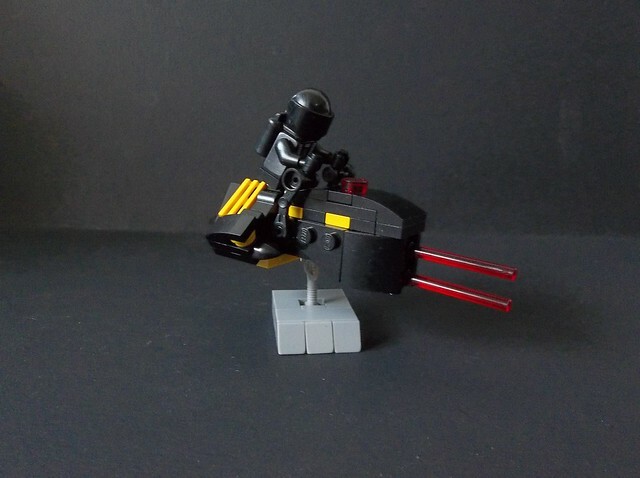 This entry was posted in Blacktron, Lego Classic Space, Lego Space, Speeders and tagged Blacktron, Lego, MOC, Speeder Bike on March 3, 2018 by geoffhorswood. 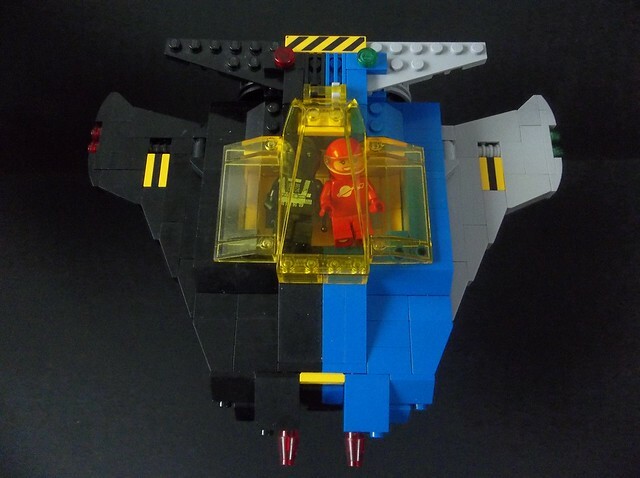 LL/BT5601 “Gemini Unification” is a rare collaborative project between the Federation and the Blacktron Alliance. 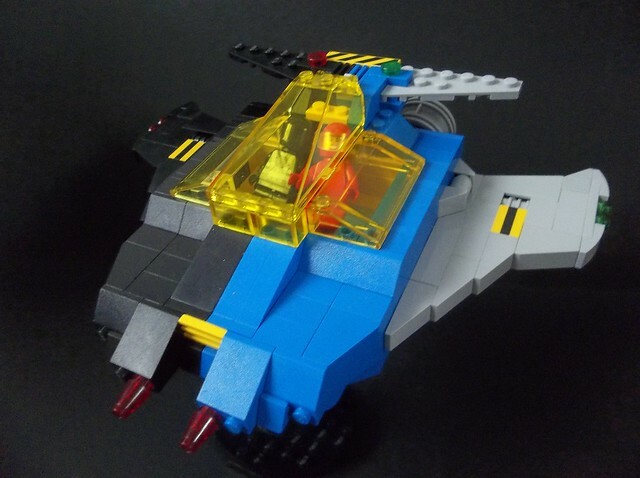 Built as a demonstration vessel by a loose collective of visionaries in both of Humanity’s major interstellar polities, the vessel is a two-crewmember ship in side-by-side configuration, painted in half Federation Space Service and half Blacktron Stellar Command colours. 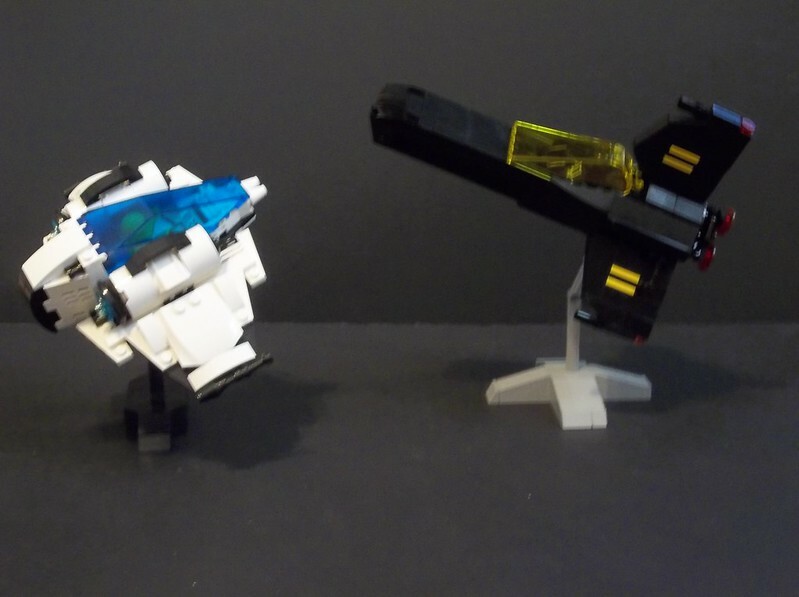 Crewed for the Federation by Lieutenant Astrid Garcia and for the Blacktron Alliance by Subcommander David Lurgan, the Gemini Unification was intended as a messenger of peace between the two interstellar empires. 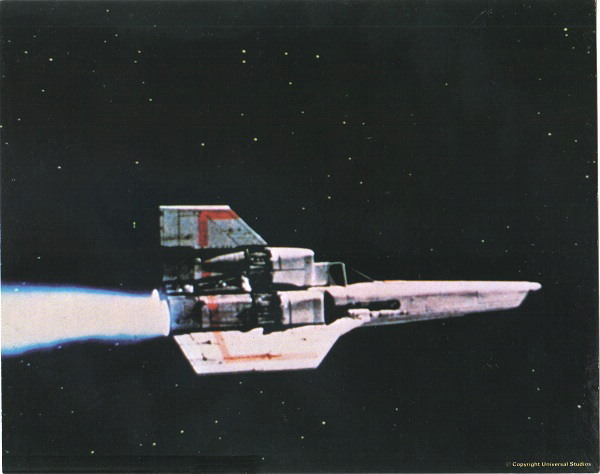 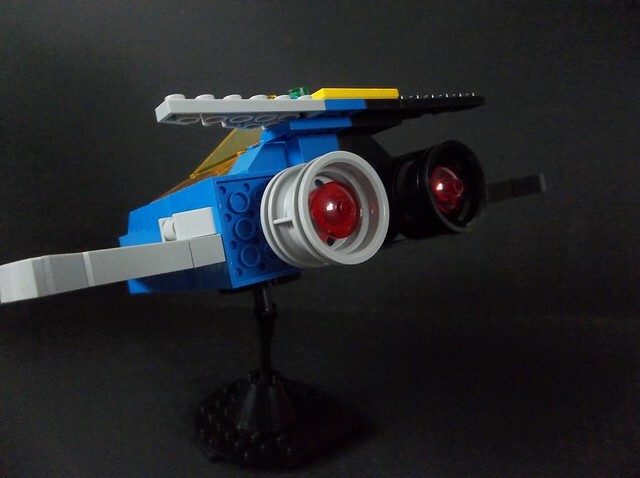 The project itself was successful as a starship and as a demonstrator of the possibility of peace, but despised by both empires’ High Commands. 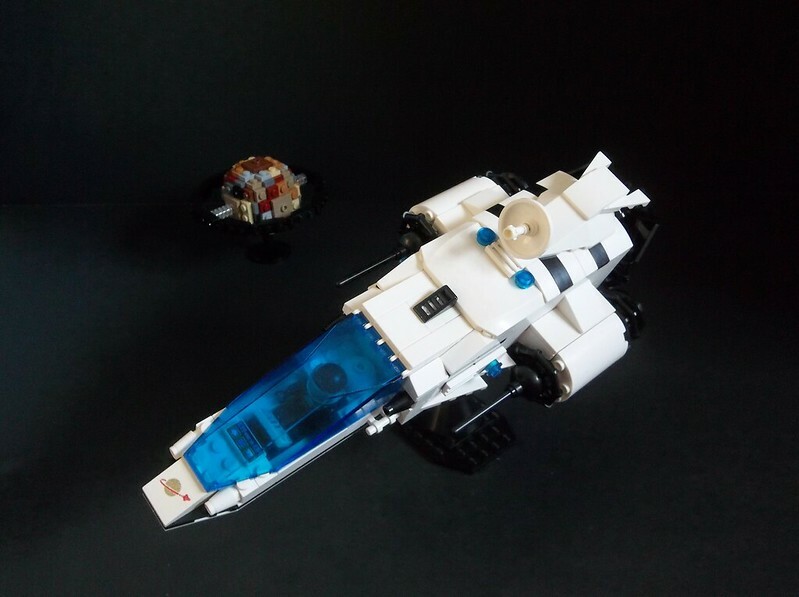 In an ironic twist, the vessel met its end at the hands of a combined Blacktron/Federation Special Forces operation specifically to take out the ship which both sides saw as an emblem of treason to their side’s cause. 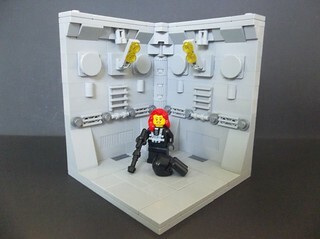 This isn’t my first dual-coloured Blacktron/Classic Space build, but the previous one was a bit more positive and optimistic. 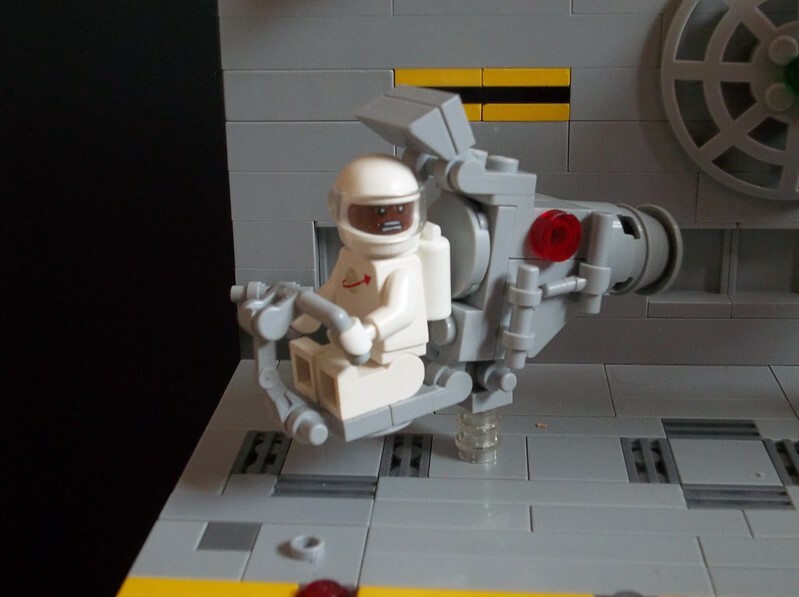 This far into the New Year and its ongoing political chaos, apparently my cynicism is showing again. 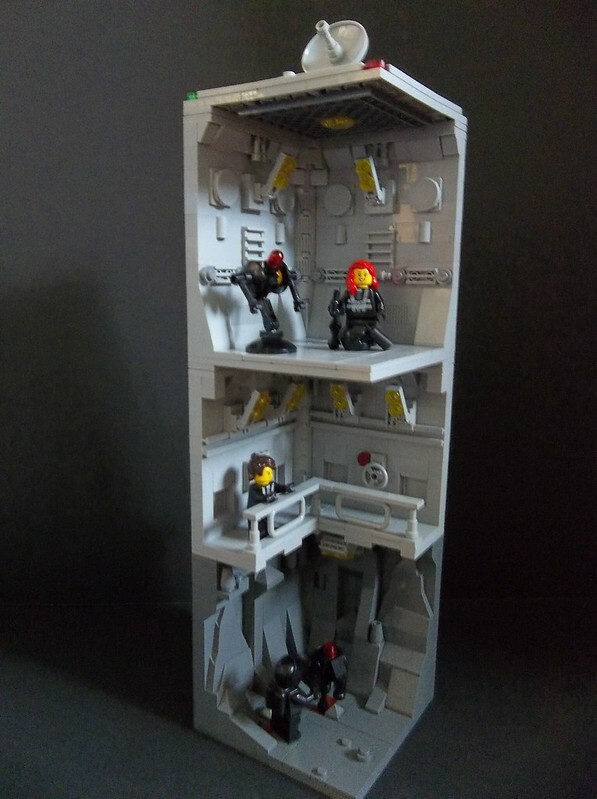 Anyway, there it is. 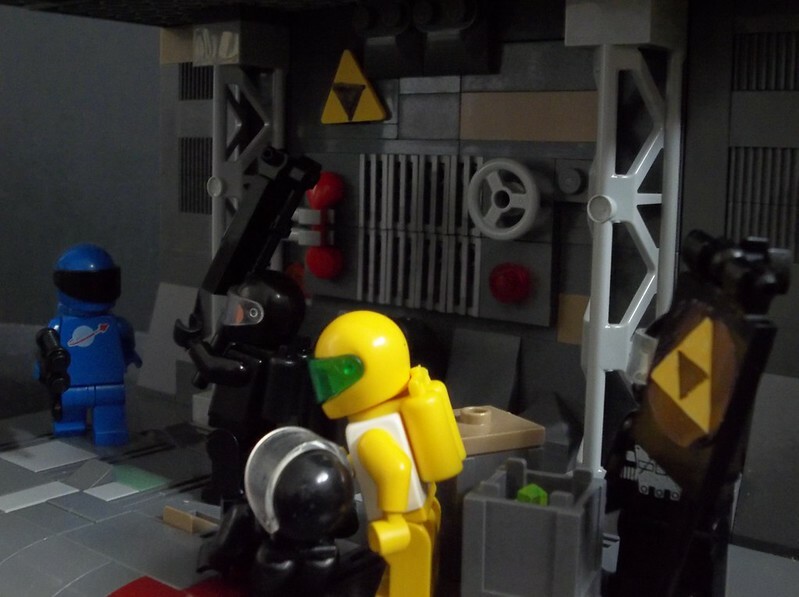 A visionary unification project between the implacably hostile Blacktron Alliance and their arch-foes in the Galactic Federation. 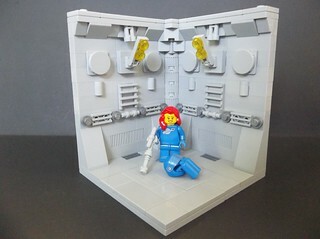 Put like that, it’s definitely doomed, isn’t it? 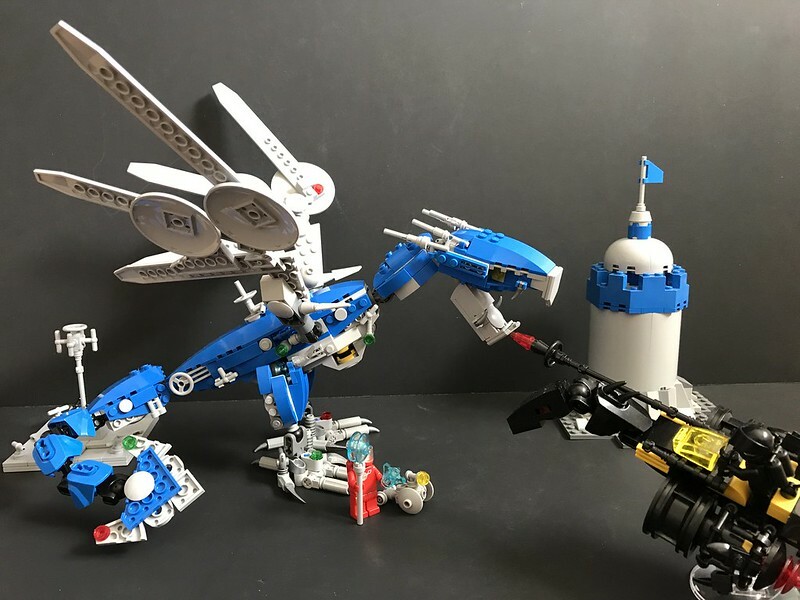 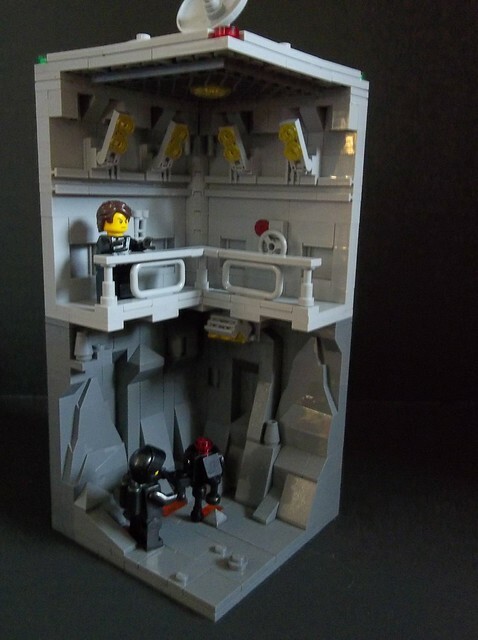 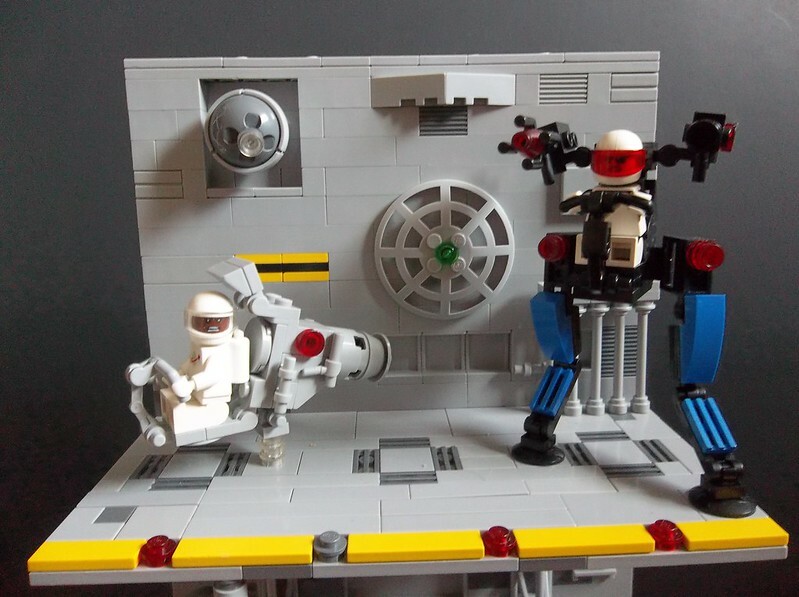 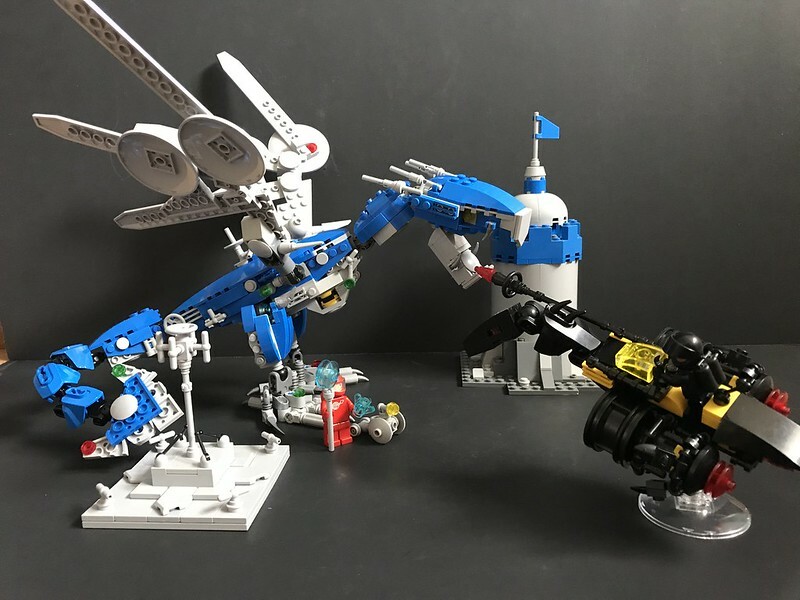 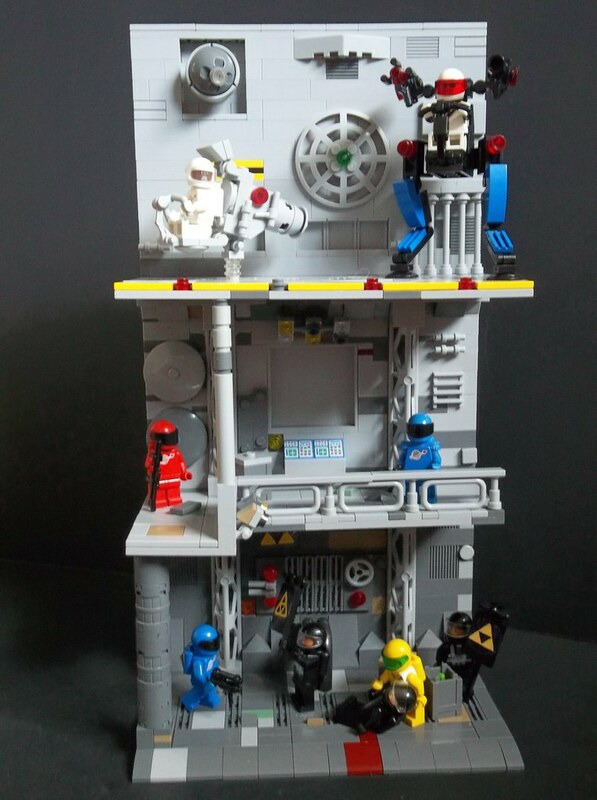 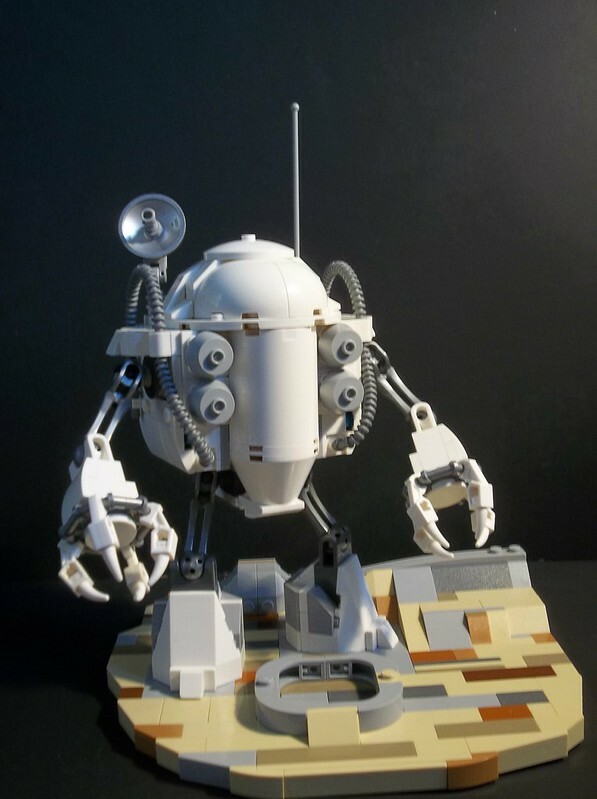 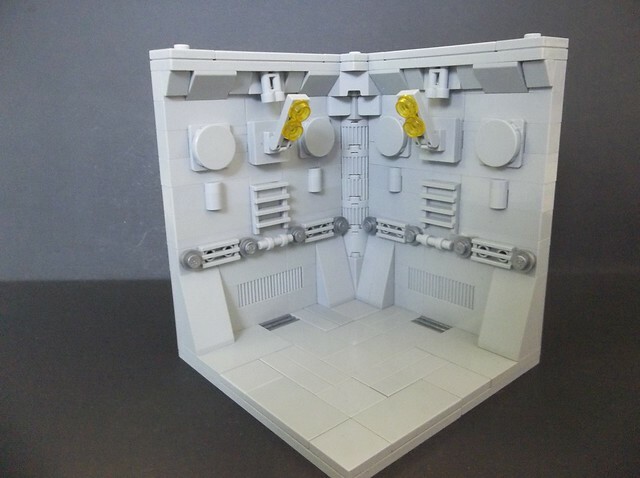 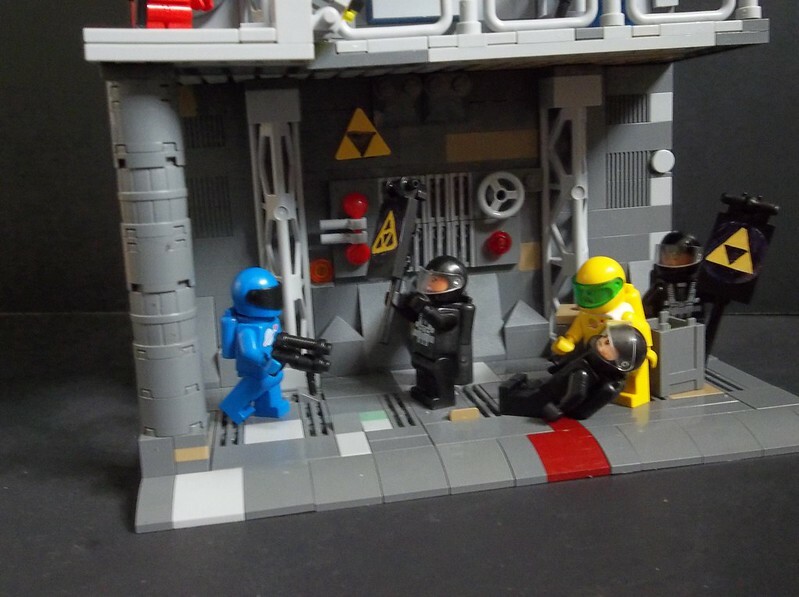 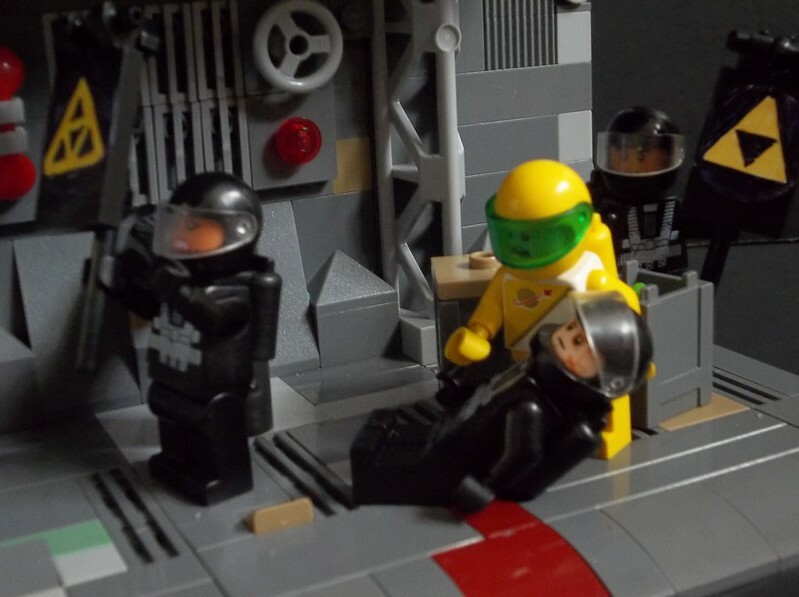 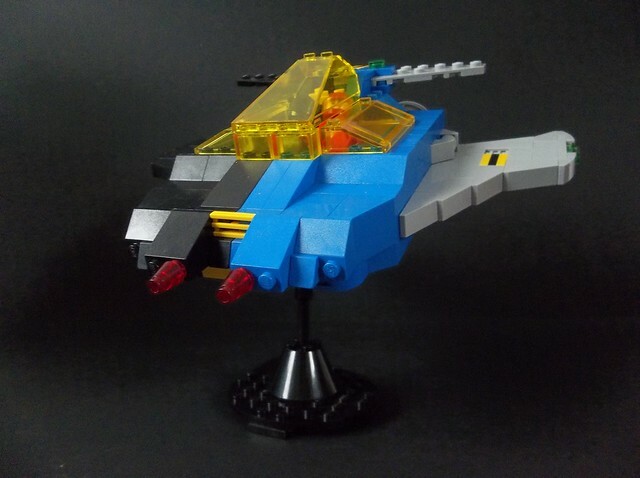 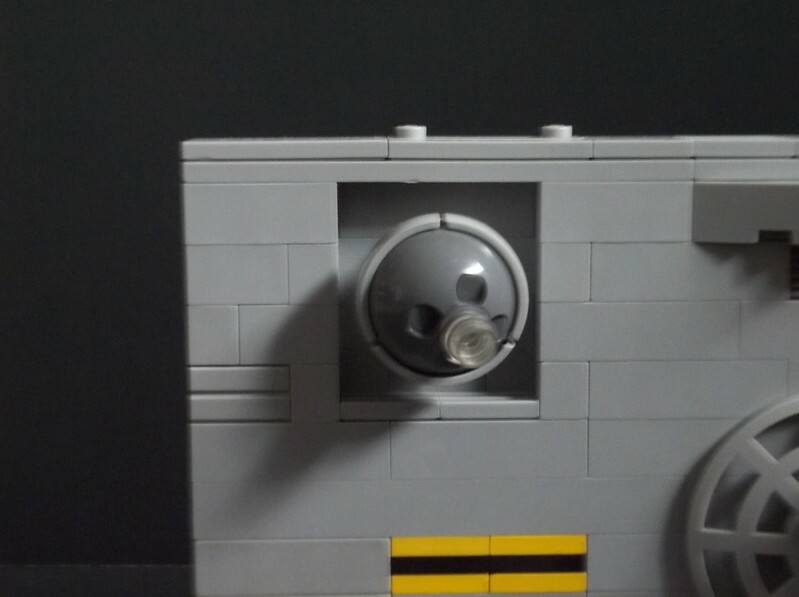 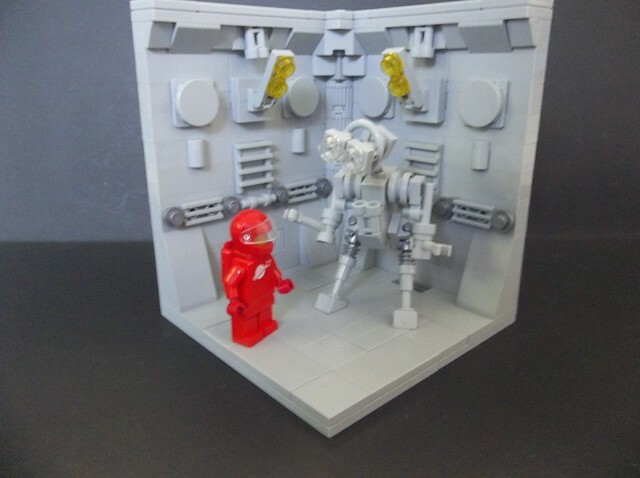 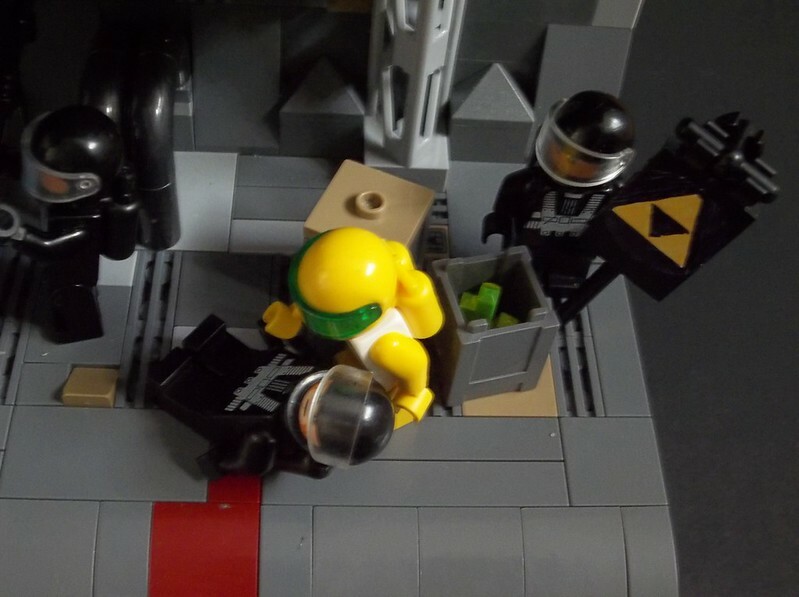 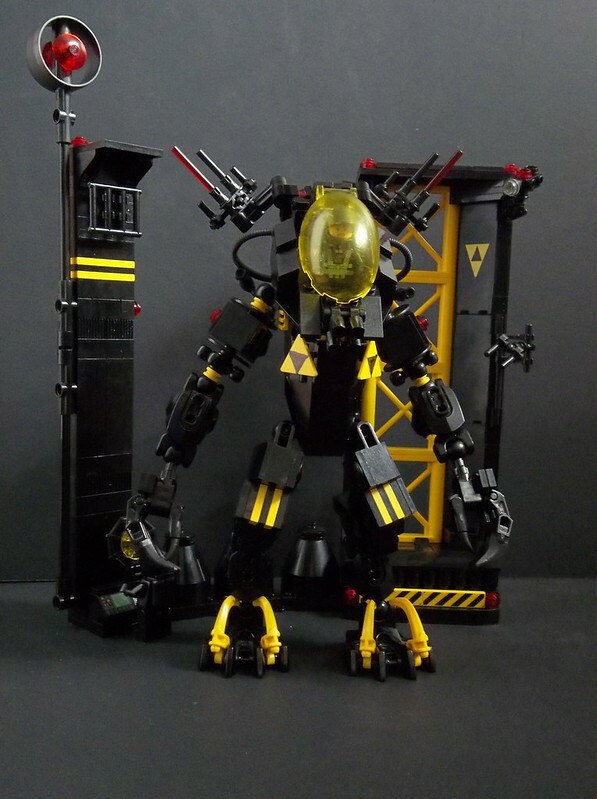 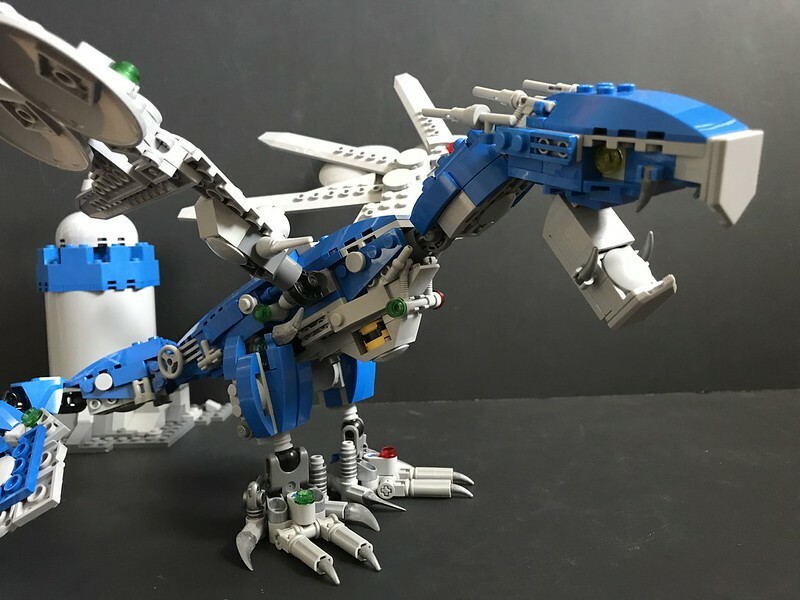 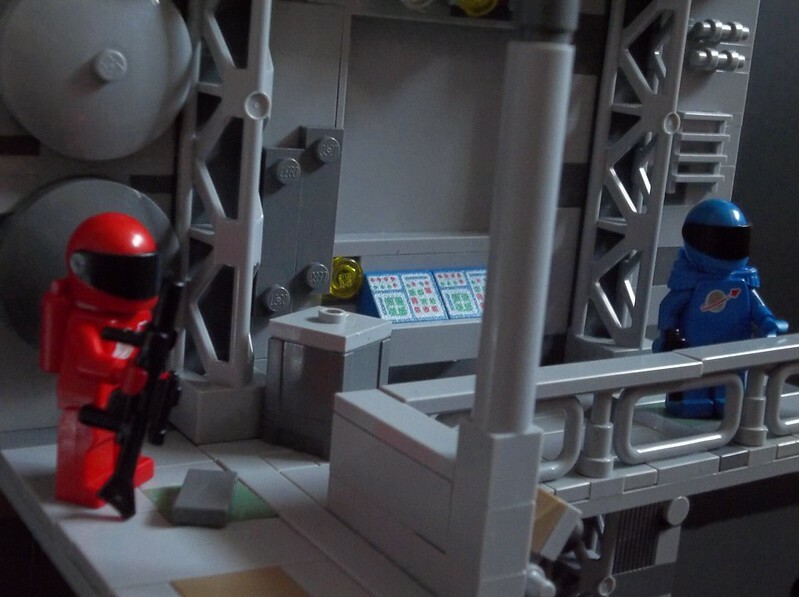 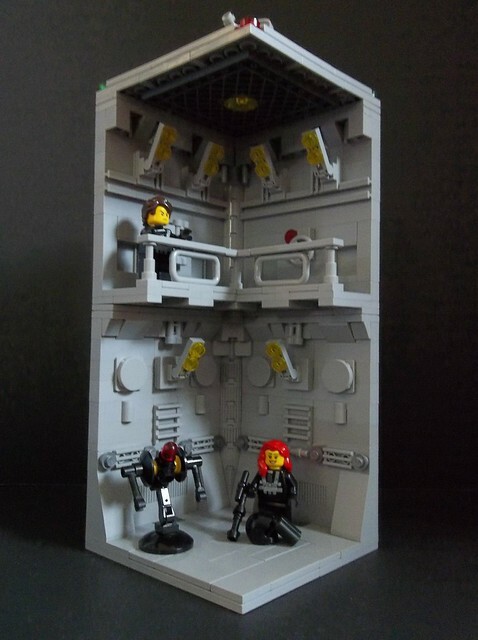 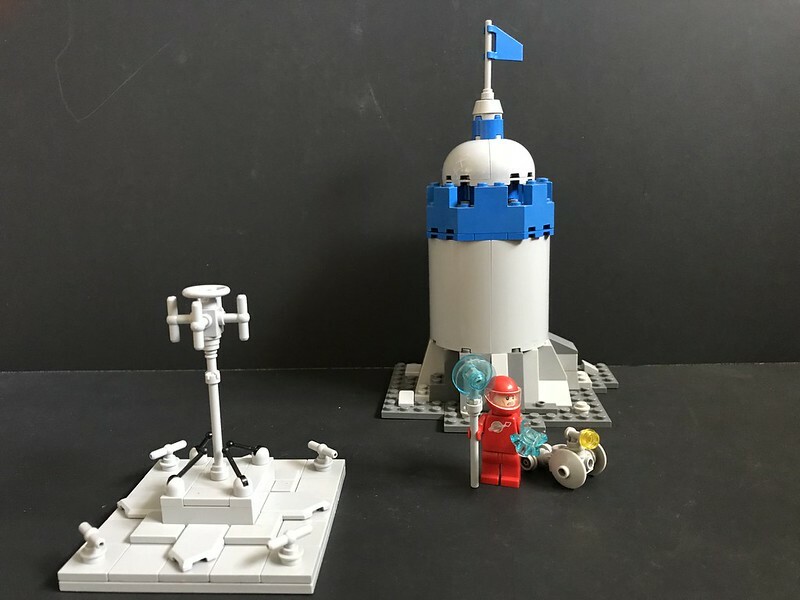 This entry was posted in Blacktron, Lego Classic Space, Lego Space and tagged Blacktron, Classic Space, Lego, MOC, Spaceship, Theme Crossover on February 22, 2018 by geoffhorswood.